ENGLISH 8, GRAMMAR Grammar. 1. In order to/ so as to + V. 2. Future simple: S + will be/V ( I/We + shall) 3. Passive form: - Hiện tại đơn : am/is/are + V3/-ed Eg: The glass is broken into small pieces. - Quá khứ đơn: was/were + V3/-ed Eg: The house was built 2 years ago. - Tương lai đơn: will be +V3/-ed Eg: A new house will be built near here next year. - Hiện tại hoàn thành: Have/has been + V3/-ed Eg: This building has been finished for 10 years. 4. To be adj + to + V. Eg: It’s easy to understand this lesson. - To be + adj+ that + S + V…. Eg: I am delighted that you passed your exam. 5. –ed and – ing participles. 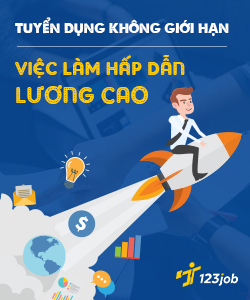 Ved/p1- là phân từ quá khứ- dùng cho sự vật, sự việc. V-ing – Phân từ hiện tại – thường dùng cho người. Eg: - The old lamp made in China is 5 dollars. - The boy reading a book is Ba. 6. Would you mind if + S + Ved/p1…? Would you mind + V-ing…? Do you mind if + S + V(s,es)….? Do you mind + Ving….? Eg: Would you mind if I took a photo? Would you mind taking a photo? Do you mind if she takes a photo?. Do you mind if I take a photo?. Do you mind taking a photo? 7. Pass progressive ( Quá khứ tiếp diễn). * Use: - Diễn tả 1 sự việc đang diễn ra tại 1 thời điểm cụ thể trong quá khứ. 1 - Diễn tả 1 hành động đang diễn ra thì 1 hành động khác xen vào. Hành động đang diễn ra thường đứng sau từ While và hành động xen vào ngắn hơn, thường đứng sau từ When và được chia ở thì quá khứ đơn. *Form: ( Whie) + S + was/were + V-ing, (when) S+ Ved/p1. Eg: While Hoa was eating, the phone rang. When Lan arrived at school, the school drum was sounding. 8. Progressive tense with always. ( Hiện tại tiếp diễn với always). S + am/ is/ are + always + V-ing. Eg: Mrs Nga is always losing her umbrella. 9. Compound words: N-V_ing: rice- cooking, water-fetching, fire – making 10. Reported speech ( câu gián tiếp) * Dạng trần thuật: S + said that + S + V lui thì/was/were. Eg: “ I can fix the faucets” he said.  He said that he could fix the faucets. Cần thuộc cách chuyển đổi của 1 số từ sau: Động từ trong câu trực tiếp Động từ trong câu gián tiếp Can -> Will -> Is -> Are -> Must -> Shall -> May -> This -> Now -> Here -> Today -> Yesterday -> Tomorrow -> Could Would Was Were Had to Should Might That Then There That day The day before The following day • Dạng Yes/No question: S + asked + O + if/ whether + S + was/were/ V( lùi thì) Eg: “ Is it far from Ha Noi?”Nga asked Nhi.  Nga asked Nhi if it was far from Hanoi. 2 “ Do you know My Son , Nga?”Nhi asked.  Nhi asked Nga if she knew My Son. 11. Question words before to-infinitives. Eg: Nga told Nhi how to go there. S + Ved/p1 + O + Question word + to + V. ( Question words: how. What, where, which,who.) 12. Verb + to-infinitive. Eg: Nhi decided to go for a run. V + to + V 13. Modal verbs. Eg: She might go along the beach for 20 minutes. S + can/ could/ may/ might/ will/ would/ shall/ should + V nguyenthe 14. Present perfect with yet and already. Eg: I have finished my homework. She has not finished her homework yet. They have already finished their work. Have you turned it off yet? Form: + ,S + has/have (already) + Ved/p2. - , S + has/have not + Ved/p2 (yet) ? , Has/Have + S + Ved/P2 (yet)? Already được dùng trong câu khẳng định. Yet được dùng trong câu phủ định và câu hỏi. • Nhận diện thì hiện tại hoàn thành: yet, already, for, since hoac ko có thời gian cụ thể. • Nhận diện thì quá khứ đơn: last night/ week/year/month, when, ago, in 1909,…(nho hon nam 2011) 15. Sequence markers Những từ nối này thường nối các câu hoặc các đoạn với nhau và thường được đứng đầu câu. First: thứ nhất Then: rồi Next: tiếp theo After that: sau đó Finally: cuối cùng II. Practice. Ex 1: Give the correct form of the verbs in brackets. 3 Mai (live) lived in Hanoi last month, but now she (live) 1 Da Nang. Last week, she (go) 2 shopping with her mother. She (buy) 3 a lot of things there. Yesterday, She (have) 4 a small party at her house. She (invite) 5 some new friends in her new school and the neighborhood. This morning, she (go) 6 to her new school. And she (feel) 7 very happy. She (think) 8 that she (go) 9 to school by bus because there is a bus stop near her house. 1/ is living 2/ went 3/ bought 4/ had 5/ invited 6/ went 7/ felt 8/ thinks 9/ will go 1. Everyone (enjoy)…………………… the play last night. 2. English and French (teach)………………………… in our school. 3. The accident (happen)………………….right here yesterday. 4. Miss Hien (teach)…………………….in our school since 1995. 5. The food (prepare)…………………….early tomorrow. 6. Where you (spend) …………….your summer holiday last year , Tam ? 7. The boys like (play) …………… games but hate (do) ……………lessons. 8. You should practice (speak) …………… English yesterday. 9. It (get) hotter and hotter in June 10. We already ( finish) the first semester. 11. Lan (see) this film three times. 12. We (wait) for you since two o’clock. 13. May I (go) out now , Mom? 14. We (not go) to the cinema last week. 1/ enjoyed 2/ are taught 3/ happened 4/ has taught 5/ will be prepared 6/ did you spend 7/ playing / doing 8/ speaking 9/ gets 10/ have already finished 11/ has seen 12/ have waited 13/ go 14/ didn’t go Ex2: Build the sentences from the given cues. (1.5pts) 1. The house / expensive / than / the apartment. 2. My father / hate / cook / meals. 3. You / mind / if / I / you / question /? 4. Every year / billions / cans / throw away / over the world. 5. I / not / go / school / because / I / had / stay / home / help / mom. 6. Mr Huan / have / get up / early / this morning / in order to / get / meeting / on time. Ex 3: Change these sentences into passive: 1. They built that house five years ago. 4 2. She bought a lot of flowers for her mother. 3. The children eat all the vegetables and meat. 4. Lien didn’t finish her homework. 5. Ba can fix his bike by himself. 6. Thu has seen that movie twice. 7. Mr Hung will buy a new bike for Minh on his birthday. 8. Mai does a test well 9. The little has eaten the eggs. 10. The policeman took Lam to the police station. Ex 4: Complete these sentences use the structure: “Adj + to V…” 1. I / too excited / do / anything. 2. Lan / glad / see / her old friend again. 3. The students / worried / hear / the new information. 4. She / strong enough / carry / all those heavy bags. 5. Watching the circus on television is funny. It is…………………………………………………………………… 6. Thu is happy. She wins the competition again. Thu is ………………………………………………… Ex 5: Rewrite these following sentences as directed : 1. When are you moving in? She asked me 2) Is there a phone? I asked her 3) Do you have many friends? She asked me 4) Is there a fridge in the kitchen? I asked her 5) Do you smoke? I asked her 6) Does the flat have central heating? I asked her 7) Can I move the furniture around? I asked her 5 8. Minh said:” Please buy me a new book, Mom.” 9. I said:” Open your book, please, Miss Nga.” 10. “You should prepare your lesson before going to school, Na.” Tam said Ex 6 : Supply the correct form of Adjective or adverb. 1. Which is (interesting) , film or play? 2. That woman looks (pretty) than my brother. 3. This is the (happy) woman of the three women. 4. It’s an (excite) match. 5. Who is (good) , Minh or Nam? 6. She has (many) books than I. 7. The examination was (easy) than I expected. 8. Health and happiness are (important) than money. 9. Yesterday was the (hot) day of the year. 10. He dances the (beautifully) in the village. 1/ more interesting 2/ prettier 3/ the happiest 4/ exciting 5/ better 6/ more 7/ easier 8/ more important 9/ hottest 10/ most beautifully Ex 7: Match the request in column A with its reply in column B (2,5m): A B 1. Do you mind if I turn on the TV? a. I’m sorry, I can’t 2. Can you lend me your bike? b. No, I don’t mind. What’s on tonight 3. Would you mind opening the windows? c. Not at all. 4. Will you post the letter for me? d. OK. The post office is on my way. 5. Would you mind if I used your phone? e. Sure. I’m hot too. 1/ b 2/ a 3/ e 4/ d 5/ c UNIT 11 I. Correct mistakes form the sentences. Write T if there are no mistakes 1. Would you mind waiting for a moment? 2. Do you mind if I sitting down? 3. Lan stumbled on the rock and fall down 4. I am interest in mountain climbing 5. President Ho Chi Minh left Viet Nam on 1911 6. It is very difficult to find a vacancies at busy times 7. There are a lots of low-priced restaurants in Hanoi 8. The pagoda is on top the mountain 9. Mrs. Smith has been to Viet Nam once and she would love to go back 6 10.We love travelling on train because we can see the beautiful sceneries 1/ T 2/ sitting  sit 3/ fall  fell 4/ interest  interested 5/ on  in 6/ vacancies  vacancy 7/ lots  lot 8/ top  top of 9/ to  in 10/ on  by I. Give the correct form of the given words to complete the following sentences 1. There is countless number of _____________________ tourist spots in Vietnam. (BEAUTY) 2. My family had an ___________________ summer in Ha Long Bay (ADVENTURE) 3. We visited ________________ villages and went hiking most of the time (TRIBE) 4. Every ________________ family lives on a floating boat (SOUTH) 5. Sa Pa is one of the _______________ places in Vietnam (TOURIST) 6. There are ______________ bus services in the city (FREQUENCY) 7. Nam takes the bus ______________ to school (DAY) 8. His mother wants to visit an _____________ institute in the city (OCEAN) 9. This place is full of _________________ buildings and landscapes (HISTORY) 10.Lena’s mother likes this machine because it works very _________________ (EFFECT) 11.There are many ______________ in our country in a year (CELEBRATE) 12.Lonnie ‘s father can save __________________ resources by using solar energy (NATURE) 13.The Pikes aren’t satisfied with their _________________ for Christmas (PREPARE) 1/ beautiful 2/ adventurous 3/ tribal 4/ Southern 5/ tourism 6/ frequent 7/ daily 8/ oceanic 9/ historical 10/ effectively 11/ celebrations 12/ natural 13/ preparations II. Complete the sentences with words from the list. Use each word only once Necklace travelling dinner wooden delicious visit Visited welcomed kitchen north My family loves ___1______________ and we always go together. Last year we decided to _____2_____ Vietnam. We planned to go from the ______3___________ to the south of Vietnam in one month. First we _________4______ Sa Pa. The local people _______5__________ us with their traditional dance. They invited us to stay for _______6____. Each family lived in a ________7_____ house with a large fire ring in the middle. It kept the house warm and it was also the ____________8____. We had a 7 _______9_________ meal and they gave each of us a ________10_____ for luck. We loved the adventure and would definitely come back again. 1/ traveling 2/ visit 3/ north 4/ visited 5/ welcomed 6/ dinner 7/ wooden 8/ kitechen 9/ delicious 10/ necklace III. Use the opposite meaning words with the given to fill in the spaces 1. Mrs. Smith loves Hanoi and she wants to come back_________ summer (LAST) 2. Da Lat is very _______ to get to (DIFFICULT) 3. Hanh________ to buy her aunt a postcard (FORGET) 4. The plane _______________ half an hour late (ARRIVE) 5. The bus brings us to the _____________ destination (SOUTHERN) 1/ next 2/ easy 3/ remember 4/ left 5/ northern UNIT 11: TRAVELING AROUND VIETNAM Choose the word whose underlined part is pronounced differently from that of the others. 1. A. canoe B. water C. sugar D. island 2. A. resort B. hotel C. except D. rescue 3. A. sight B. tribe C. seaside D. magnificent 4. A. railway B. daily C. airport D. train 5. A. island B. florist C. stream D. sight Choose the word or phrase that best completes each unfinished sentence below. 6. The flight ________at 6. 10 has been delayed. A. leave B. which leaves C. leaving D. B&C 7. This is the first time she ________rice paddies. A. will see B. sees C. has seen D. saw 8. Would you mind ________I borrowed your dictionary? A. if B. when C. that D. Ø 9. We ________lots of photos on vacation last summer. A. had B. took C. did D. made 10. The animal ________in the forest fire was a wild pig. A. hurt B. hurted C. hurts D. hurting 11. Would you mind ________the window? A. to close B. closing C. about closing D. closed 12. Welcome ________Springfield! A. at B. to C. in D. for 13. Accommodation in London ________very expensive. A. is B. are C. has D. have 14. The road ________down to the sea is very rough. A. goes B. going C. to go D. gone 15. ________is a large hole in the side of a mountain or under the ground. A. Waterfall B. Cave C. Bay D. Lake 16. The vase ________on the shelf is very beautiful. A. stands B. standing C. is standing D. stood 17. Do you mind if I ________your atlas for a minute? A. borrow B. will borrow C. am going to borrow D. borrowed 8 18. Ann asked me not ________anybody what happened. A. tell B. telling C. to tell D. told 19. After ________breakfast, I went out for a walk. A. finish B. having fmished C. finished D. had finished 20. ________is a type of white or gray stone containing calcium, used for building and making cement. A. Slope B. Limestone C. Site D. Sand 21. China has huge ________and onshore oil reserves. A. seaside B. remote C. outside D. offshore 22. Do you mind ________here for just a minute? A. to wait B. waiting C. about waiting D. waited 23. It was late, so we decided ________a taxi home. A. take B. to take C. taking D. took 24. The council should be able to help families who have no accommodation. A. a place to live B. a place to watch sport matches C. a place to buy meal and eat it D. a place to work 25. He picked the phone ________as soon as it rang. A. on B. up C. in D. off Choose the underlined part that needs correction. 26. Since this is the first time you own a computer, do you mind if I give you some advice? A B C D 27. Da Lat is known like a city of pines, waterfalls and flowers. A B C D 28. There are notices showing arrivals and departs of trains. A B C D 29. They would like you telling them the truth. A B C D 30. It was so exciting to see those magnificently caves. A B C D Choose the word (a, b, c, or d) that best fits each of the blank spaces. I have always wanted (21) _____ fishing. On the last day of my vacation, I went fishing on a beautiful lake. Unfortunately, I didn’t catch any fish, and I got (23)_____. I decided (24) _____ swimming. When I stood up, (25)_____wallet fell out of my pocket, and into the water. It had all my money, my passport, my plane tickets - everything. I jumped into the lake to look (26)____it, but I didn’t find anything. The next morning, I wasn&apos;t able to leave the hotel. I had no money to pay the bill and no plane ticket or passport to go home. So what did I do? I called my parents and asked for some money. I have never had such a terrible experience! 31. A. go B. to go C. going D. to going 32. A. bore B. bored C. boring D. boringly 33. A. go B. going C. to go D. to going 34. A. me B. my C. mine D. myself 35. A. at B. after C. for D. in Read the following passage and choose the best answers to each of the questions below. Hue is the ancient imperial capital of Vietnam during the time of the Nguyen Dynasty (1802-1945). It is comfortably reached by plane or train from Hanoi. But it takes up to 14 hours to get to Hue from Hanoi if you travel by bus. On the South bank of the famous Huong River, opposite the Ancient Citadel and around the Le Loi and Hung Vuong Streets is where the majority of Hue’s hotels, restaurants and tourist services are located and this makes it easy for you to find everything you will need to maximize the enjoyment of your stay in the Imperial City. Many people hire motorcycles or bicycles to visit the historical sights and monuments there but it is possible to walk, or to take a taxi or cyclo, too. imperial (adj) : (thu c) ho ng / maximize (v) : l m t ng len n m c t i aộ à đế à ă đế ứ ố đ 36. What does the word ‘ancient’ in line 1 mean? A. of the present time B. very old C. liked by a lot of people D. not special or unusual 37. Hue can be reached by________________. A. plane B. train C. bus D. all are correct 38. Where is the Ancient Citadel? 9 A. On the South bank of the Huong river. B. On the North bank of the Huong river. C. On Hung Vuong Street. D. no information 39. We can visit the historical sights and monuments there ________________. A. by motorcycle or bicycle B. by taxi or cyclo C. on foot D. all are correct 40. Which of the following is not true? A. Hue used to be the imperial capital of Vietnam. B. We can travel to Hue by train or by plane. C. It’s comfortable to travel to Hue by bus. D. Most of Hue’s hotels and restaurants are on the South bank of the Huong river. THE END ANSWER KEY Choose the word whose underlined part is pronounced differently from that of the others. 1. A. canoe B. water C. sugar D. island 2. A. resort B. hotel C. except D. rescue 3. A. sight B. tribe C. seaside D. magnificent 4. A. railway B. daily C. airport D. train 5. A. island B. florist C. stream D. sight Choose the word or phrase that best completes each unfinished sentence below. 6. The flight ________at 6. 10 has been delayed. A. leave B. which leaves C. leaving D. B&C 7. This is the first time she ________rice paddies. A. will see B. sees C. has seen D. saw 8. Would you mind________I borrowed your dictionary? A. if B. when C. that D. Ø 9. We ________lots of photos on vacation last summer. A. had B. took C. did D. made 10. The animal ________in the forest fire was a wild pig. A. hurt B. hurted C. hurts D. hurting 11. Would you mind ________the window? A. to close B. closing C. about closing D. closed 12. Welcome ________Springfield! A. at B. to C. in D. for 13. Accommodation in London ________very expensive. A. is B. are C. has D. have 14. The road ________down to the sea is very rough. A. goes B. going C. to go D. gone 15. ________is a large hole in the side of a mountain or under the ground. A. Waterfall B. Cave C. Bay D. Lake 16. The vase ________on the shelf is very beautiful. A. stands B. standing C. is standing D. stood 17. Do you mind if I ________your atlas for a minute? A. borrow B. will borrow C. am going to borrow D. borrowed 18. Ann asked me not ________anybody what happened. A. tell B. telling C. to tell D. told 19. After ________breakfast, I went out for a walk. A. finish B. having finished C. finished D. had finished 20. ________is a type of white or gray stone containing calcium, used for building and making cement. A. Slope B. Limestone C. Site D. Sand 21. China has huge ________and onshore oil reserves. A. seaside B. remote C. outside D. offshore 10 [...]... underlined part that needs correction 26 Since this is the first time you own a computer, do you mind if I give you some advice? A B C D 27 Da Lat is known like a city of pines, waterfalls and flowers A B C D 28 There are notices showing arrivals and departs of trains A B C D 29 They would like you telling them the truth A B C D 30 It was so exciting to see those magnificently caves A B C D Choose the word (a,... 35 A at B after C for D in Read the following passage and choose the best answers to each of the questions below Hue is the ancient imperial capital of Vietnam during the time of the Nguyen Dynasty ( 180 2-1945) It is comfortably reached by plane or train from Hanoi But it takes up to 14 hours to get to Hue from Hanoi if you travel by bus On the South bank of the famous Huong River, opposite the Ancient... What does the word ‘ancient’ in line 1 mean? A of the present time B very old C liked by a lot of people D not special or unusual 37 Hue can be reached by A plane B train C bus D all are correct 38 Where is the Ancient Citadel? A On the South bank of the Huong river B On the North bank of the Huong river C On Hung Vuong Street D no information 39 We can visit the historical sights and monuments... we on the beach A are lying B have lain C lay D were lying 7 The baby his food onto the floor and making his mother angry A always threw B is always throwing C has always thrown D always throws 8 I would like to Africa A go B to go C going D to going 9 It was kind you to help them A of B from C for D to 10 Are you going abroad this summer? A going overseas B going on holiday C going to... C through D up 16 Miss Brown us last week while our teacher was ill A teaches B is teaching C was teaching D has taught 17 You come and visit us again some time A should B must C need D could 18 I’m usually free in the evening A tired B relaxed C not busy D not at home 19 I picked up a copy of their summer travel A paper B magazine C book D brochure 20 While the choir Christmas carols,... underlined part that needs correction 26 I was doing my homework and my dad was reading a car magazine after lunch yesterday A B C D 27 The farmer was riding to town while he fell off his horse A B C D 28 Would you like me helping you with your homework? A B C D 29 I will keep a day freely next week for our meeting A B C D 30 She spent her free time to visit gallaries and museums last weekend A B C D... lazy seaside holiday C a busy cultural holiday D a problem about the holiday 37 The author A liked sunbathing B was tired and needed to relax C liked a busy cultural holiday D a & b are correct 38 What does the word ‘island’ in line 5 mean? A a piece of land with water all around it B a place in a desert that has trees and water C a high piece of land that is not as high as a mountain D a big . động đang diễn ra thì 1 hành động khác xen vào. Hành động đang diễn ra thường đứng sau từ While và hành động xen vào ngắn hơn, thường đứng sau từ When và được chia ở thì quá khứ đơn. *Form: ( Whie). very happy. She (think) 8 that she (go) 9 to school by bus because there is a bus stop near her house. 1/ is living 2/ went 3/ bought 4/ had 5/ invited 6/ went 7/ felt 8/ thinks 9/ will go 1 I ________your atlas for a minute? A. borrow B. will borrow C. am going to borrow D. borrowed 8 18. Ann asked me not ________anybody what happened. A. tell B. telling C. to tell D. told 19.